Syria expects Turkish troops to withdraw from Syrian soil as part of the trilateral mechanism created among Russia, Turkey and Iran, said Syria’s permanent representative to the United Nations Ambassador Bashar Jaafari. After capturing the northwest Syrian district of Afrin last month, Turkey now controls much of the northern part of Aleppo province along its border, and has a strong presence in the province Idlib further to the south. "We hope that Turkey will be pressured within the trilateral mechanism to withdraw its troops from Syria. 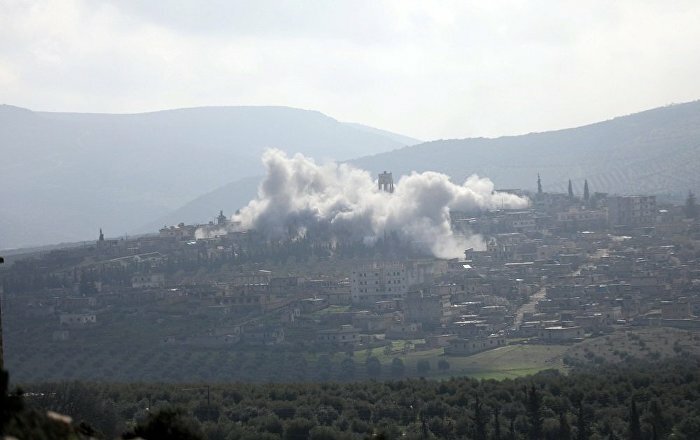 Turkey's Afrin operation is a military aggression which violates the UN Security Council resolutions concerning Syria as well as the principles of the Non-Aligned Movement,” Jaafari said in a statement issued during the Non-Aligned Movement mid-term ministerial conference in Azerbaijan, the private Azeri Press Agency reported. "Turkey has to withdraw its troops from Afrin. I am hoping that there will be pressure on Turkey to this end,” the Russian news agency Sputnik quoted him as saying. Jaafari said that according to agreements made between Turkey, Russia and Iran in the Kazakh capital Astana, “Turkey was supposed to send police forces with light arms to observe and inspect the terror groups in Idlib", but instead sent troops. According to local reports in Turkey, and Turkish President's Tayyip Erdoğan’s recent remarks, Ankara is to appoint a governor to administer Afrin and the city will be part of the neighbouring Turkish province of Hatay.